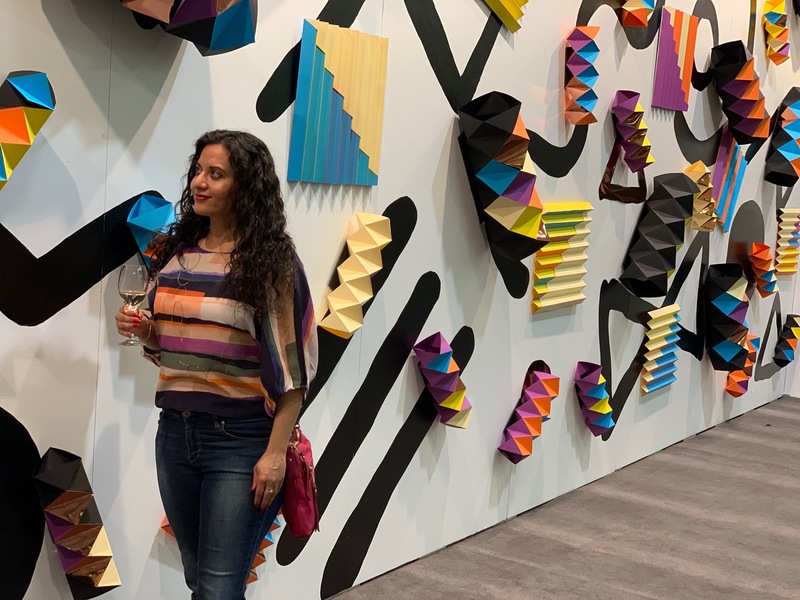 Dressed in my most ‘artsy’ top, I walked into the Artist Project Contemporary Art Fair only to discover that my top matched perfectly with the wall exhibit at the main entrance. 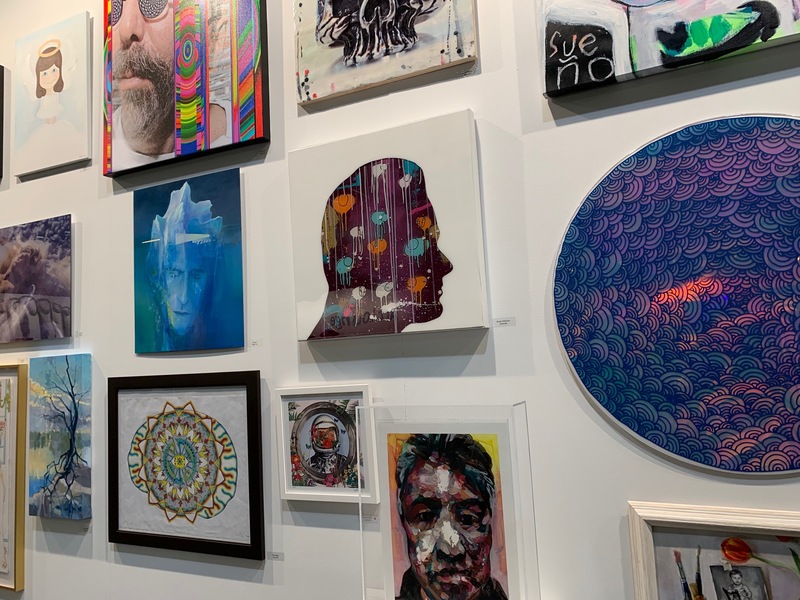 This is an annual show that connects artists with art lovers. It’s a forum for art lovers to learn more about the artist, their story and engage in conversation with their favourite artists. I was in awe as I walked through the aisles lined with art like a kid in a candy store. There’s something so calming about visiting the AGO Mystical Landscapes exhibition. I chose to go on a Wednesday, because the AGO is open late (and it’s free!) on Wednesdays. Although Mystical Landscapes doesn’t have free admission on Wednesdays, the exhibit was still packed. Despite that, there was something awe inspiring in being in the same room with these peaceful, and sometimes unsettling, masterpieces. The crowd fades away as you take in each work of art. The years between 1880 and 1930 were marked by rampant materialism and rapid urbanization. 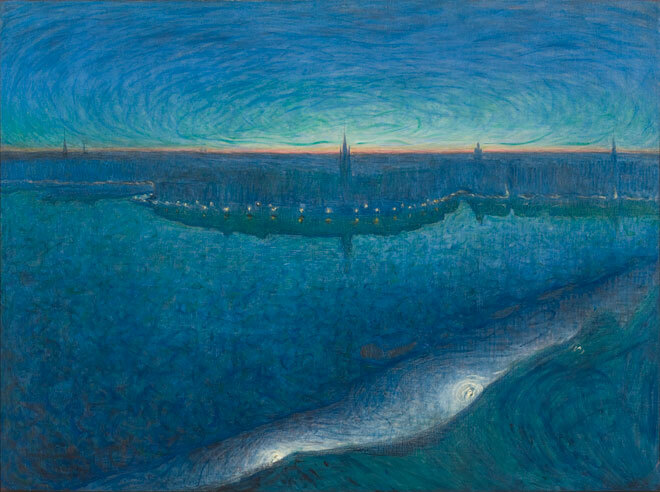 Disillusioned with traditional religious institutions, many European, Scandinavian and North American artists searched for an unmediated spiritual path through mystical experiences. Organized in partnership with the renowned Musée d’Orsay in Paris, Mystical Landscapes: Masterpieces from Monet, Van Gogh and more breaks new art historical ground, exploring the mystical experiences of 37 artists from 14 countries, including Emily Carr, Paul Gauguin, Vincent van Gogh, Piet Mondrian, Claude Monet, Edvard Munch, Georgia O’Keeffe and James McNeill Whistler. The AGO’s newest exhibition The Outsiders kicks off AGO’s year of photography and is a pre- Contact Festival treat. Curated by Jim Shedden and Sophie Hackett, the American photography exhibition has more than 500 photographs by 10 different photographers such as Gordon Parks, Diane Arbus, and Robert Frank; the artist who inspired many of these photographers with his book The Americans, which depicted the current state of American life. 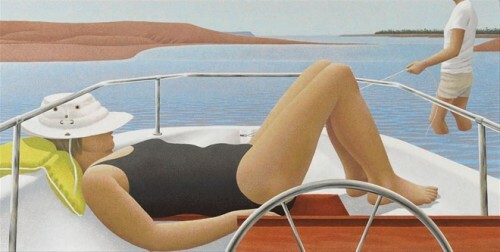 The images correspond with the life which surrounded the art ists at the time of the 1950’s-1980s. 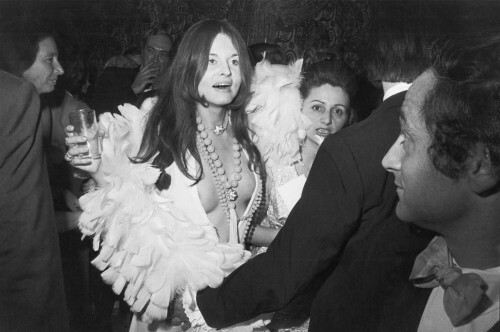 These periods of social and economic change is they wanted to document for their generation. 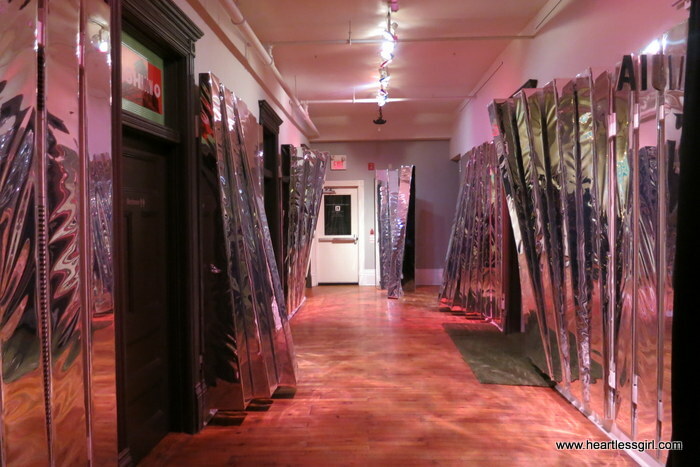 Today I got a sneak peek of the Come Up to My Room exhibit at the Gladstone Hotel! Art is tucked into rooms and taking over walls. There are 25 installations and 40 artists. It’s such a fun exhibition- you need to go!